November is Epilepsy Awareness Month. It’s a chance for everyone to raise awareness and show support for friends and loved ones who bravely manage their epilepsy each day. Take some time to read epilepsy facts to dispel the stigma attached to this serious medical condition. Epilepsy is a neurological condition that affects the nervous system. It is also known as a seizure disorder. 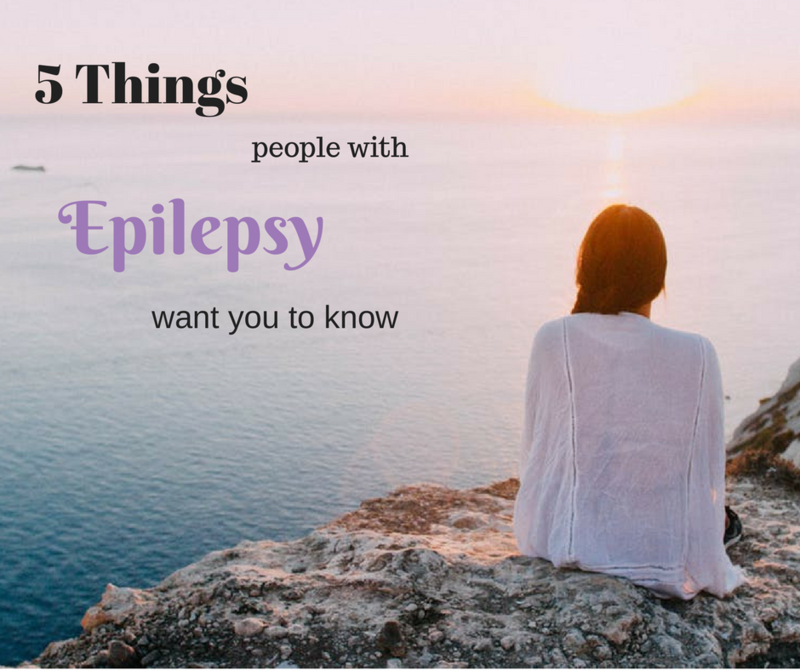 In America, 3.4 million people live with epilepsy and here are 5 things they would like you to know. A person with epilepsy will not swallow their tongue. “What should we do so you don’t swallow your tongue?”. Brittany Clements who writes about her epilepsy shares how this question is one people living with the disorder gets asked all the time. While family and friends who ask certainly have their hearts in the right place, tongue swallowing is an epilepsy myth. According to Cleveland Clinic, the worst thing that can happen during a seizure is for a person to bite their tongue. It is anatomically impossible for a person to swallow their tongue. During a seizure, do not put anything in a person’s mouth. This is related to the myth of tongue swallowing. The American Red Cross advises against putting anything inside a person’s mouth or between their teeth. Rarely do people having seizures bite their tongues or cheeks with enough force to cause significant bleeding or injury. Seizures can manifest as strange behavior. Convulsions are more commonly associated with a seizure but depending on the type of seizure a person is having, these symptoms may include chewing movements, rapid breathing, rhythmic blinking, and slight movements. In some cases, a seizure may cause a person to speak gibberish, tug on their clothing, or scream. People with epilepsy can live life to the fullest and enjoy sports. Science has come a long way to help people who are living with the disorder. This includes medications such as anticonvulsants that can help control seizures in most people with epilepsy. Medical alert jewelry for epilepsy also offers safety and peace of mind for persons living with a seizure disorder and allow them to enjoy regular activities. Medical IDs help inform emergency personnel of their epilepsy and/or the medications to control their seizures. Epilepsy Awareness Month is a perfect time to order a medical ID for a friend or loved one. Studies show that the stigma that epileptics should be discouraged from participation in physical activity and sports remain. In fact, studies have shown that physical activity can decrease seizure frequency on top of other benefits. A person with epilepsy should not be precluded from participation in sports. For inspiration, AthletesVsEpilepsy.com features many athletes’ stories as they strive to overcome their own challenges with epilepsy. Epilepsy is not contagious, evil, and gross. “People have a lot of preconceived notions of what epilepsy is. They can make it seem gross, they can make it seem evil, they can make it seem contagious”, says Gena, a community advisor on epilepsy research. The World Health Organization highlights that epilepsy is not contagious. The most common type of epilepsy, which affects 6 out of 10 people with the disorder, is called idiopathic epilepsy and has no identifiable cause. “We are people to admire, not fear, and the best thing you can do for us is to learn more about this disease and first aid guidelines. Don’t be afraid to ask us questions — we want to talk about it!”- Drusilla Moorhouse, Deputy Copy Chief of BuzzFeed. Remember: Stay calm, clear the area and protect the person from hurting themselves. Do not restrain the person or place something in their mouth. Gently roll them on their side. Check for a medical ID. If the medical ID says a person has epilepsy, time the seizure and if lasts for more than 5 minutes, call 911. Help us support friends and loved ones with epilepsy for Epilepsy Awareness Month. Share these epilepsy facts and dispel the myths, you can use any of the share buttons below to help spread the word. epilepsy, epilepsy awareness, myths, seizures. Bookmark. Giving Tuesday: Shop Medical IDs and Make a Difference!